You Must Have A Dream! – 1Beginner! I have a Dream, Do You have a Dream ? Your Dream is only Yours! No body cant take it from you! Do not ever allow anybody to take it from you. We all have dreams, They are in some form or Another. They can be small or Big.They can be hard but definitely not impossible. Dreams are not for the fascination, something that comes in your sleep just for sake of it. Some People feel dreams are useless, dream is a sort disturbance in their sleep, dream is something that interrupts their sleep. I think they should change their perspective & look towards life in an optimistic way. Dreams are necessary ? Why ? I would like to remind the safe life we live today is possible only because of someone’s Dream. Somebody saw a dream of Independent nation, He worked on relentlessly, Gathered other dreamers who had the similar dream like him, they thought together, they worked together, they Fought together for a long while , sacrificed their life & delivered us the the freedom to live. They fought,invested their present to deliver us a better future. How, it was made possible. Independence, the whole freedom became possible only because of few dreamers. The equipment, the gadgets we use, the software we handle all came through the legendary dreamers. The Dreamers who believed in themselves & in their Dream. Thomas Edison saw a Dream to spread light in the lives of People. He saw a Dream to live in the brightness , to live Life beyond the Oil lamp. he invested years of his life, Performed more than 10000+ experiments to realize his dream into a Reality, i.e. to Invent an Electric incandescent Bulb.Now, It takes just few seconds for us to switch on/off the light. How its made possible. we are surrounded by thousands of necessary gadgets, Services. You pick anything – The Phone, The Mobile, Tv, Air conditioner , Bell, Fan, refrigerator, Watch, Pen, Car, Elevator, Escalators, Train etc. How all these things came into existence. It came to life through the hands of Dreamers. Two brothers saw a dream to fly in the Air, People laughed on their dreams. Still, they worked on their dream for years, Worked relentlessly despite of opposition and numerous problems , finally they invented the Aeroplane. Everything is possible though A Dream. Never underestimate the Power of Dreams. I say Dreams are necessary ! Dreams Are Must ! Why ? Because Everything is possible with a Dream. I have a Dream, Do You have a Dream ? You Must Have A Dream. A Greater life is possible only though a Dream. You can survive without a dream but you cannot flourish without a Dream. Dream is not a fascination but it is a vivid imagery of your desire, Its an your hope for something in distant future, its a Hope for a better tomorrow. Dream is an Inner calling. Your dream can be big, somewhat Gigantic. It can be hard but its definitely not impossible. 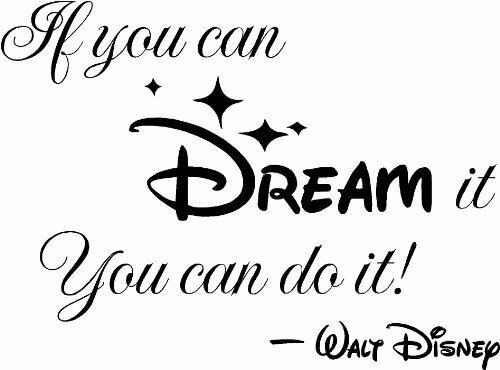 Walt Disney said its all started with A Dream, Walt Disney saw a Dream of Studio & Disneyland , people said its impossible, Nobody can do that, its a fascination, He made it possible through his Will, Focus,Immense work & Persistence. He literally showed the way to the whole World – “If you can Dream it, You can Do it”. If You don’t have Dream , I would say you must create a Dream.because Dream can give you reason to wake up every morning , To cherish, to aspire for new Heights. Dream give us Inspiration. Dreams give us the Flight to live a better life. Dreams can give you all new life.It gave me a new life, it brought me back to life. Dreams give you motive to live, to rise with an excitement for a better & greater tomorrow. 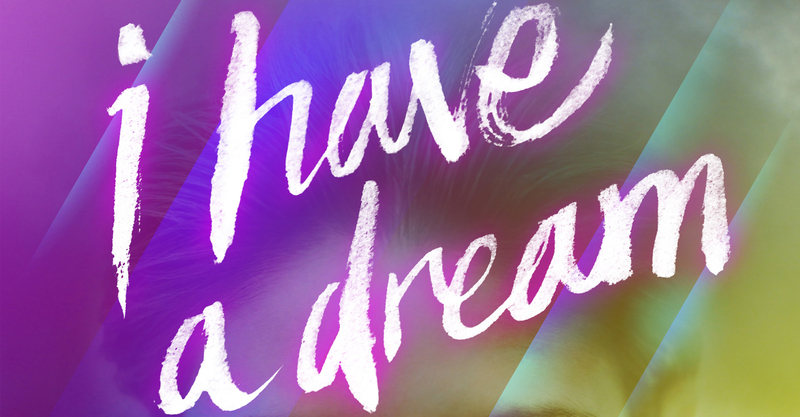 You got to Dream a Dream! You Must Have A Dream! You must hold on to your Dream.Never ever give up on you Dream. You must Have a Dream. You must Remember Your Dream,You must Work on your Dream & Most Importantly you must Hold on to your Dream! @ Mahendra Kapady. Yes i have a dream. I Will Remember my Dream, and i will hold on and continue working on my dream! Great and Fruitful read..indeed! When you reach there, I would love to listen from You. Keep working on your Dream.